Glacier Glove's Alaska River Flip Mitt features a G-Tek 2mm fleece lined neoprene palm for grip and a windproof fleece back. The fingerless design allows you maintain the dexterity you need for the complicated tasks you experience while enjoying the outdoors. Glacier Glove&apos;s Alaska River Flip Mitt features a G-Tek 2mm fleece lined neoprene palm for grip and a windproof fleece back. 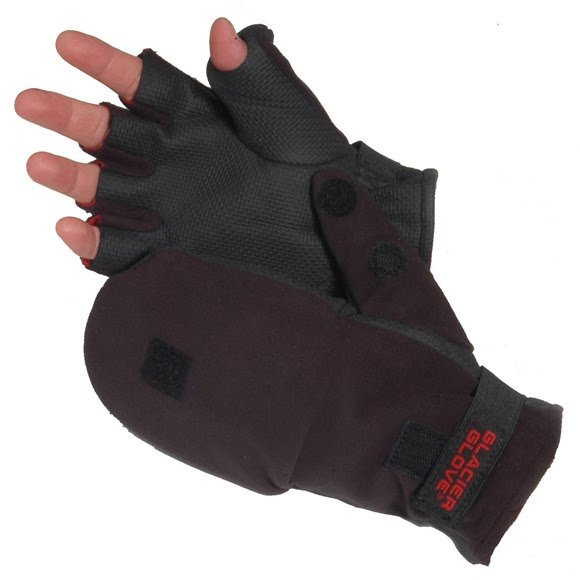 The fingerless design allows you maintain the dexterity you need for the complicated tasks you experience while enjoying the outdoors.